Multiple sources in the Canadian IT industry have told CDN that the new president of Avaya Canada will be Walter Andri, currently the senior vice president of sales for Primus Telecommunications Canada Inc.
Andri is set to replace Ross Pellizzari as president. Pellizzari, a perennial CDN Top 25 Newsmaker, left the networking and collaborations vendor in December of last year. Andri has a tentative start date of Feb. 25. It was only a year ago when Andri was unveiled as part of Primus’ new senior leadership team led by CEO Michael Nowlan. During that announcement Andri was one of seven new leaders for the Toronto-based alternative telecommunications service provider. According to Primus, Andri is an experienced senior sales leader and business transformation specialist with a proven track record of leading global B2C and B2B businesses in the technology, telecommunications, retail and food and drug sectors. 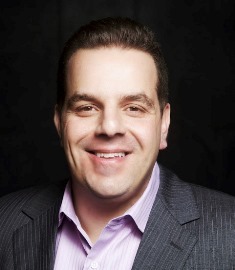 Prior to joining Primus, Andri was the vice president of small and medium business at Telus. He also held roles at Koodo Mobile and was part of the original team that launched Virgin Mobile in Canada. Andri is also a member of the board of directors for UpSnap, a mobile advertising company. Two sources with knowledge of this story told CDN that one of the main reasons for hiring Andri is to help Avaya Canada capture more service provider business. Andri takes over Avaya Canada during a time in its history when the vendor plans to leverage VMware’s vCloud Air platform for enterprise-class team engagement services that bridge private and public cloud environments. The company also restructured its channel program to focus on the business transformation solutions the market is demanding. With that Avaya plans to drive more channel partner-enablement strategies to address this growing demand.